Allied NATO Government is hiding millions of infectious NON HIV AIDS cases under the “Chronic Fatigue Syndrome (CFS)” ICD-code. * Neenyah Ostrom’s book “America’s Biggest Cover-up: 50 More Things…CFS & Its Link To AIDS” cites: “Some CFS Patients May Be Non-HIV AIDS Cases. My case goes up through the NIH, CDC, White House, WHO, to the UN. I hope that you will spread-the-news too (e.g., post on Facebook, Twitter, add to eNews). This entry was posted in AIDS, Eugenocide/Population Control, Government experimentation on the public and tagged AIDS, CFS, Chronic on March 11, 2018 by Editor. Dr. Judy Mikovits, former researcher, National Cancer Institute: “Data suggest that 6% of the US population is harboring a retrovirus in their bodies that can develop into an acquired immune deficiency. Video Dr. Judy Mikovits explaining how the blood supply and vaccine labs became contaminated. This entry was posted in AIDS, Death By Medicine, Doctors Speak Out, Eugenocide/Population Control, Government experimentation on the public, Medical information and Research Data, NEWS, Pregnancy and birth, RESEARCH, STUDIES, DOCUMENTATION, Vaccine Injection Room and tagged AIDS, JUDY, retrovirus on January 7, 2016 by Editor. This entry was posted in AIDS on January 8, 2014 by Editor. 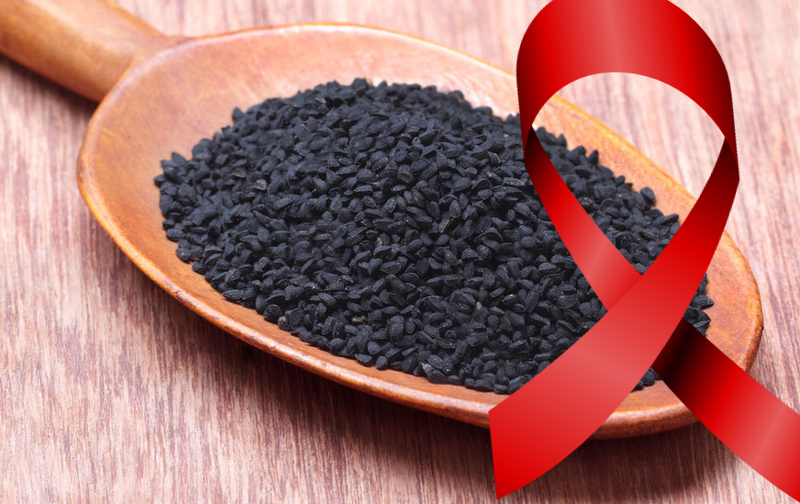 Nigella Sativa, also known as ‘black seed,’ has been studied for a wide rage of health benefits, but not until recently was it discovered to hold promise as a curative agent against potentially lethal viral infections, including Hepatitis C[i] and now HIV. There are words you don’t use in medicine today, such as “cure.” But a remarkable case study in an HIV positive patient treated with black seed extract resulted in a sustained remission, indicating a safe, accessible and affordable alternative to highly toxic antiretroviral HIV drugs may already exist. Garlic/Black Cumin Seeds Study A combination of crushed garlic (Allium sativum) and black cumin seeds (Nigelia sativum) has been used as a traditional remedy for urinary tract infections. In-vitro antimicrobial testing suggested that the mixture of two spices in the ratio of 1:1 has antimicrobial effects on both Staphylococcus aureus and Escherichia coli specieS. Nigella sativa is an annual flowering plant, native to south and southwest Asia. It grows to 20–30 cm (7.9–12 in) tall, with finely divided, linear (but not thread-like) leaves. The flowers are delicate, and usually coloured pale blue and white, with five to ten petals. The fruit is a large and inflated capsule composed of three to seven united follicles, each containing numerous seeds. The seed is used as a spice.The seeds are frequently referred to as black cumin (as in Assamese: kaljeera or kolajeera or Bengali kalo jeeray), But black cumin (kala Jeera)[clarification needed] is different than Nigella sativa (Kali Jeeri). In south Indian language Kannada it is called [ಕೃಷ್ಣ ಜೀರಿಗೆ] “Krishna Jeerige”, but this is also used for a different spice, Bunium persicum. In English, Nigella sativa seed is variously called fennel flower, nutmeg flower, black caraway, Roman coriander, and also called black cumin. (see comment below on cumin). Other names used, sometimes misleadingly, are onion seed and black sesame, both of which are similar-looking, but unrelated. Blackseed and black caraway may also refer to Bunium persicum. This entry was posted in AIDS, Healing & Recovery Room, Medical information and Research Data, RESEARCH, STUDIES, DOCUMENTATION on December 8, 2013 by Editor. This infection does not spread the same as AIDS does, according to Dr. Sarah Browne, scientist with the National Institutes of Health (NIH) National Institute of Allergy and Infectious Diseases. Browne led the team of researchers in Thailand and Taiwan where the disease made its first appearance. The disease appears to be directed at people of Asian descent; even those living in the US. Browne has concluded that the new AIDS causes those infected to produce autoantibodies that block interferon-gamma, a chemical signal that assists the human body in fighting infections. The new AIDS targets this chemical and leaves the victim unable to fight off any infection – leaving the person vulnerable to developing deadly sicknesses from even the common cold. This entry was posted in AIDS, Government experimentation on the public, Medical information and Research Data, RESEARCH, STUDIES, DOCUMENTATION and tagged AIDS, NEW VIRUS on June 2, 2013 by Editor. This entry was posted in AIDS, Medical information and Research Data, RESEARCH, STUDIES, DOCUMENTATION, Vaccine Injection Room on February 20, 2012 by Editor. This entry was posted in AIDS, Gardasil HPV Vaccine, Vaccine Injection Room on January 12, 2012 by Editor. This entry was posted in AIDS, Government experimentation on the public, Recommended Books on November 5, 2010 by Editor. Tomás Brewster’s journey in a brief 9 minute excerpt about the false “HIV” positive misdiagnosis he received 6 years after he took the deadly HIV drugs Indinivir, AZT,3TC, & also Combivir and Nevirapine(Viramune). Testing Antibody Positive in 1997 he was later told in 2004 that he was “Indeterminate” and needed to re-test for HIV or be let go from funding and medical care. This entry was posted in AIDS, Death By Medicine, Personal Stories Vaccine Injuries on October 26, 2010 by Editor.